(March 22, 2016, 11:15 a.m. EST) -- With global fears about terrorism still influencing travel, cruise lines have been eyeing itineraries that include Turkey, with some canceling planned port stops in 2016. Viking Cruises has become the latest line to alter its itineraries in light of terrorist attacks in Turkey by canceling all overnights in the country and all stops in the country for the fall season. In a decision made the day before the second Istanbul bombing (on March 19), Viking Star set sail in the evening rather than stay the night. The following day a bomb went off in Istanbul's Beyoğlu district, claiming the lives of four victims. The line added a full day call in Canakkale (Troy) instead. The same changes will affect the March 27 and April 3 sailings on Viking Star and Viking Sea respectively. Viking Sea itineraries for the fall that were slated to stop in Turkey will instead re-route to Greece. Crystal, Disney and MSC Cruises had already announced that they will not stop in Turkey in 2016; Celebrity Cruises had canceled overnights in Istanbul. Then in January, Norwegian Cruise Lines Holdings' three lines – Norwegian Cruise Lines, Oceania Cruises and Regent Seven Seas -- canceled all port calls to Turkey, affecting 61 itineraries in total. CEO Frank Del Rio called it "one of the toughest decisions" he has ever had to make, itinerary-wise. "Turkey is very dear to our hearts," he said. "When Turkey and the Greek Islands are calm and collected, it's the best destination for us…but given what has happened to Turkey over the last several months, and with all the intelligence that we subscribe to, we believe that the correct course of action is to not call on Turkish ports for 2016." Because the first sailing to Turkey isn't until April, passengers will have a chance to cancel, Del Rio said. Passengers who are inside cancellation will be allowed to move bookings to another itinerary. The U.S. Department of State has issued a travel alert warning of increased threats from terrorist groups throughout Turkey and to avoid travel to southeastern Turkey; while the British Foreign & Commonwealth Office has also put out travel alerts against certain parts of the country, they are not valid for the cruise ports along the coast. Suicide bombers killed 10 German tourists in the heart of Istanbul's tourist area Sultanahmet Square on January 12. The March 19 attack was the the sixth suicide bombing in Turkey in the past year. Following the recent attacks, Cruise Critic members sailing with Celebrity have expressed concern surrounding their upcoming trips to the region, with some considering cancelling their cruise. Azamara Club Cruises: "Azamara Club Cruises has decided to replace its two calls to Istanbul, Turkey with visits to Athens, Greece, due to low guest demand and interest. This change will allow our guests to continue with the planned vacations in a seamless fashion, now embarking or debarking in Athens, Greece." Celebrity Cruises: "Celebrity Cruises is aware of the security concerns in Turkey, we have not made any additional modifications to any upcoming sailings that visit Turkey. 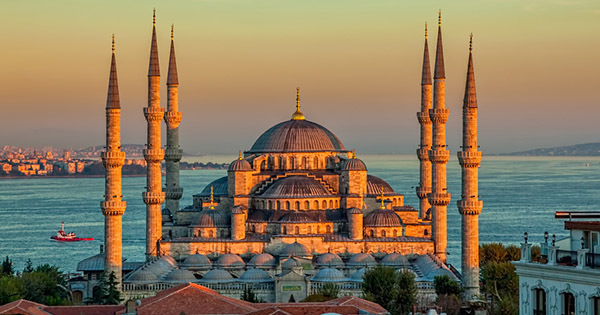 Celebrity Cruises will continue to closely monitor the changing situation in Turkey and will contact guests or their travel agents should we make any modifications to upcoming itineraries. Our decision making process will always be driven by our concern for the safety and wellbeing of our guests and crew members." Carnival Cruise Line: All planned calls on Izmir have been replaced with stops at Kusadasi on all Carnival Vista sailings through October. Celestyal Cruises: Celestyal has no more Istanbul stops, but will continue to call at Kusadasi and Cesme. Costa Cruises: Costa neoRiviera is replacing its Istanbul calls with stops in Rhodes from March 28 to November 8. Crystal Cruises: The April 24 sailing of Crystal Symphony will replace ports calls to Istanbul and Kusadasi with stops in the Greek ports of Souda Bay/Chaina, Navplion (overnight), Hydra and Athens (overnight). Replacing the two Turkish ports on the ship's May 1 itinerary will be Athens (overnight), Patmos and Rhodes. For both sailings, pre-reserved shore excursions in Istanbul and Kusadasi will be automatically canceled and refunded. Turkish ports of call scheduled for Crystal Esprit in April and November will also be changed, but new itineraries have not yet been finalized. Cunard Line: "In line with advice from the Foreign & Commonwealth Office (FCO), we currently have no plans to remove our calls to Istanbul, Turkey. We continue to monitor the situation very closely and as our passenger safety is paramount, if the situation deteriorates, we will reconsider these itineraries." Disney Cruise Line: Disney has changed the planned stops for its Disney Magic's Mediterranean cruises. Ports dropped include Kusadasi in Turkey; Athens and Mykonos in Greece and Valletta in Malta. Instead, the ship will visit Livorno (for Florence) and Villefranche (for Monte Carlo and Nice). Fred. Olsen: "We take the position of changing our itineraries based on Foreign and Commonwealth Office (FCO) website recommendations. If there is any change in the FCO's advice regarding Turkey, we will immediately look to alter our itineraries." Holland America Line: The line has issued the following statement: "Holland America Line has been closely monitoring current events in Istanbul, Turkey, and, out of an abundance of caution, we have made the following changes to cruises visiting the port on the below sailing." Eurodam, which is scheduled to depart from Venice for an Eastern Mediterranean cruise July 17, has canceled stops in Istanbul and Mytilene, Nisos Lesbos, Greece. Instead, the ship will visit Mykonos (July 22), Kusadasi (July 23), Rhodes (July 24) and Crete (July 25). The line also said, "Shore excursions booked in affected ports through Holland America Line will be refunded and taxes, fees and port expenses will be adjusted accordingly." MSC Cruises: The line has suspended calls by MSC Magnifica to Istanbul and Izmir, replacing them with Athens and Mykonos from March 26th until the end of the Mediterranean cruise season in October. Norwegian Cruise Line: The line has suspended calls to Turkey in 2016. "We will continue to closely monitor the situation and make future itinerary adjustments as appropriate. We have begun the process of informing guests booked on the affected cruises of the itinerary changes and will update the respective brand websites with revised voyage information." Oceania Cruises: The line has suspended calls to Turkey in 2016. "We will continue to closely monitor the situation and make future itinerary adjustments as appropriate. We have begun the process of informing guests booked on the affected cruises of the itinerary changes and will update the respective brand websites with revised voyage information." Princess Cruises: Princess Cruises has made no changes to its itineraries. In a statement, the line said: "The safety and security of our guests and crew is our highest priority and our security department, staffed with former military, intelligence and law enforcement professionals, maintains close contact with governmental authorities, local law enforcement agencies and private sources for security assessments and information and continues to monitor alerts worldwide. We will advise guests and our travel consultant partners should the need arise to make changes to any of our published itineraries." Regent Seven Seas: The line has suspended calls to Turkey in 2016. "We will continue to closely monitor the situation and make future itinerary adjustments as appropriate. We have begun the process of informing guests booked on the affected cruises of the itinerary changes and will update the respective brand websites with revised voyage information." Royal Caribbean International: "We are closely monitoring the situation in Turkey; at this time, Royal Caribbean International has not made any modifications to any upcoming sailings that visit Turkish ports." Saga Cruises: "We do have a cruise with Turkish ports of call. We've not amended the itinerary, but are monitoring the situation and will as always follow FCO advice." Seabourn Cruises: A statement from the line read: "Seabourn is closely monitoring the situation in Turkey. We have not announced any changes to our upcoming scheduled visits in Turkey. The safety of our guests and crew is our top priority." SeaDream Yacht Club: SeaDream I and SeaDream II will instead operate Athens roundtrip for four Greek Isle and Kusadasi itineraries. Silversea Cruises: Silversea is still offering some calls in Turkey this summer, but has modified 10 Silver Spirit sailings to be more Western Mediterranean itineraries and has eliminated calls to Istanbul on these sailings as part of the changes. The line is contacting passengers booked on these itineraries and is assisting them with changes to their travel plans on an individual basis. Thomson Cruises: "FCO advice hasn't changes so our programme remains as is." Windstar Cruises: "At Windstar Cruises, the security and safety of our guests and crew is always our top priority. We regularly evaluate all operations to adapt as necessary and assist in compliance with U.S. State Department issuances regarding worldwide travel. Regarding upcoming calls to ports in Turkey, no further itinerary changes are announced at this time. If a revision to any itinerary becomes necessary, cruise guests and travel partners will be notified as soon as plans are finalized. If a change occurs during a sailing, guests on board are kept advised of the itinerary revisions."